Do you want to build a huge team and become a top MLM leader? It’s time you stop building incrementally, bit by tiny bit. It’s time you unleash mayhem. Multi-Level Mayhem to be exact! 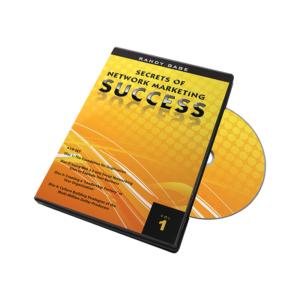 This new training program from Randy Gage was developed to help you reach the top levels of success in direct selling/network marketing. It contains all of Randy’s latest business building strategies, of what is working right now, in today’s market. 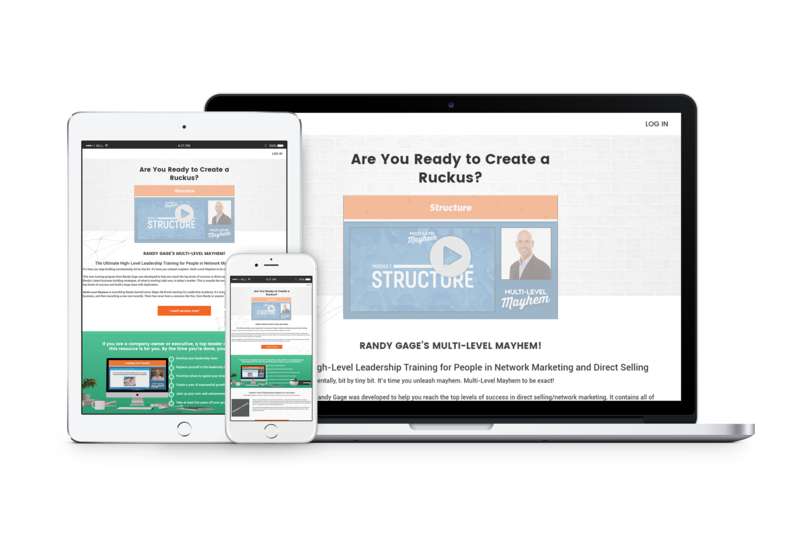 This is exactly the resource you need to breakthrough and reach the top levels of success and build a huge team with duplication. 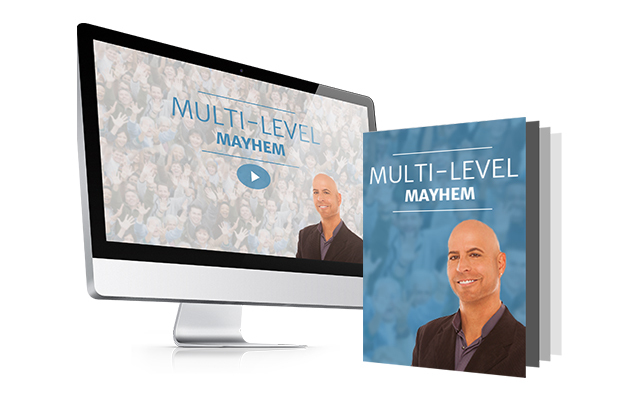 Multi-Level Mayhem is everything Randy learned since Mega-MLM and starting his Leadership Academy. It’s everything he learned building a huge worldwide business, and then launching a new one recently. There has never been a resource like this, from Randy or anyone else. 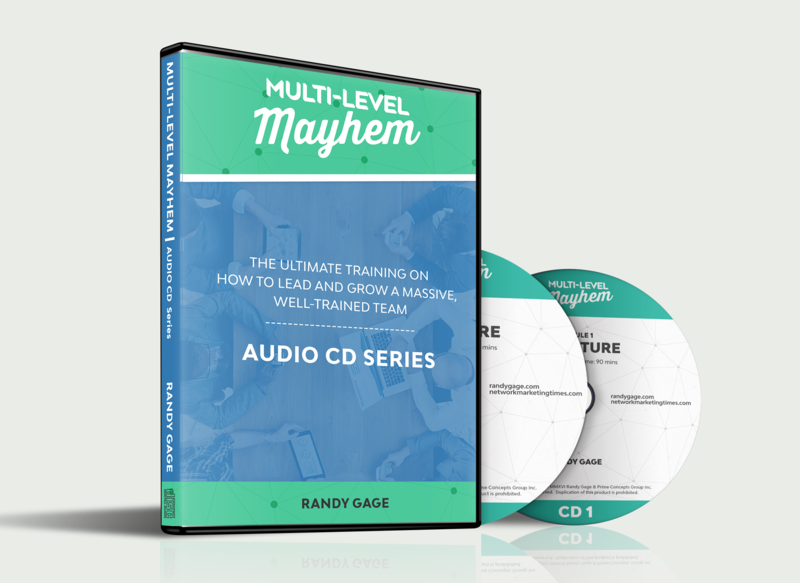 MULTI-LEVEL MAYHEM is the ultimate training and strategy on how to lead and grow a massive, well-trained team. 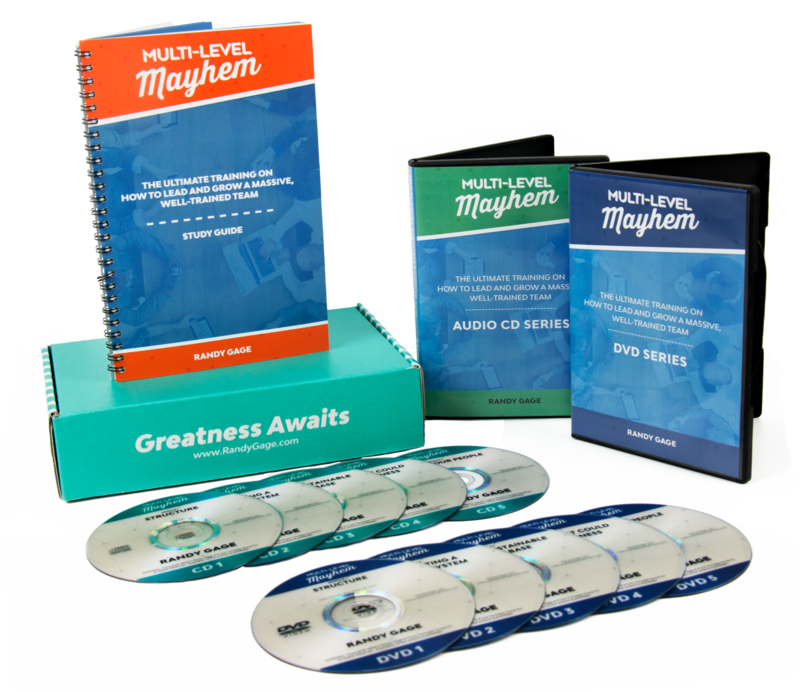 Mayhem is a high-level training on the concepts of leadership – and specifically how they apply in the network marketing and direct selling arena. Most particularly, how these concepts play out in the process of team building. It’s a critical thinker’s view on how you combine duplicable systems & structure, leadership development, and organizational culture – to create powerful and sustained exponential growth. If you can create this exponential growth for at least one year, you’ll create enough momentum to create a lifetime of residual income for yourself. You will develop enough leaders to make yourself expendable and truly have a viable passive income stream. 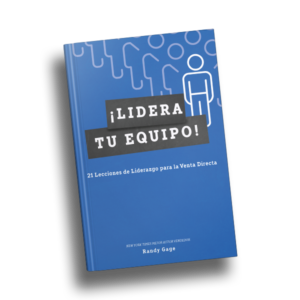 Here you’ll get my best insights on what kind of structure your team needs for the best results. It’s a new world of smart phones, streaming video and social media. If you’re still trying to build with DVDs, email, and conference calls – you’re about to be left for dead. In the post FTC/Vemma world, the rules have changed. Dramatically. If your presentations are built around product and income testimonials, you’re about to get slammed. If you think you can make the argument that distributors count as customers, you’ve got a great shot at getting closed. We’ll explore the things that get you negative publicity and/or government scrutiny. The “ego run amok” activities that drive people away. The contests and promotions that de-incentivize your team. And the practices that cause top leaders to leave for other programs. There are ten tripwires in total, that should be avoided if you want to get the best results for you and your team. 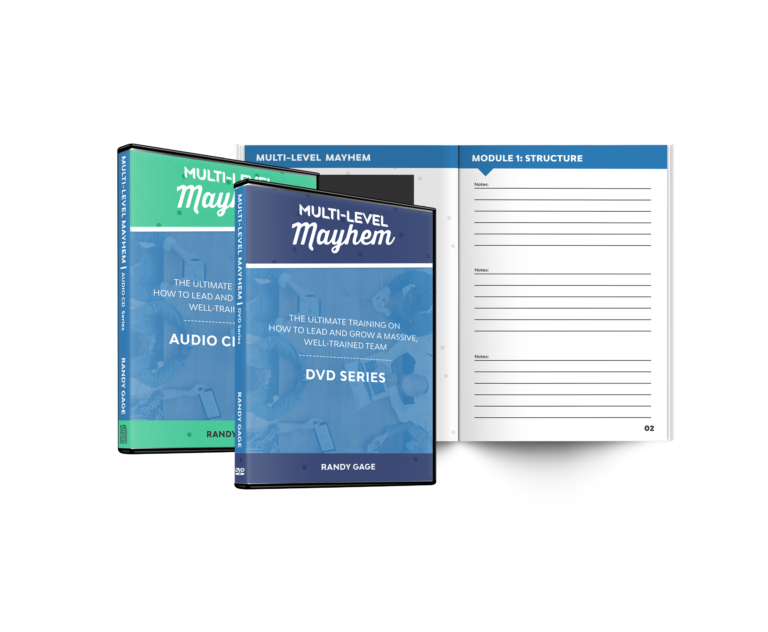 This one session alone could save you a couple million dollars in lost income. Really. 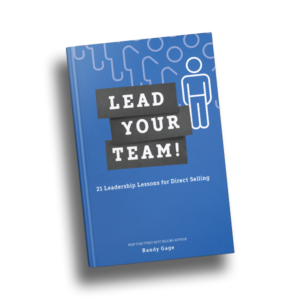 Here we’ll look at things like how you set a vision for your team, keep people motivated, build belief, deal with difficult people, balance strong egos, recognize potential leaders, attract natural leaders, and develop new leaders. This is NOT “where do I meet prospects,” “how do I make a presentation,” or “how do I turn customers into business builders” training. There are plenty of other resources available for topics like those. Don’t sign up for this program if you’re looking for the answers to questions like those. 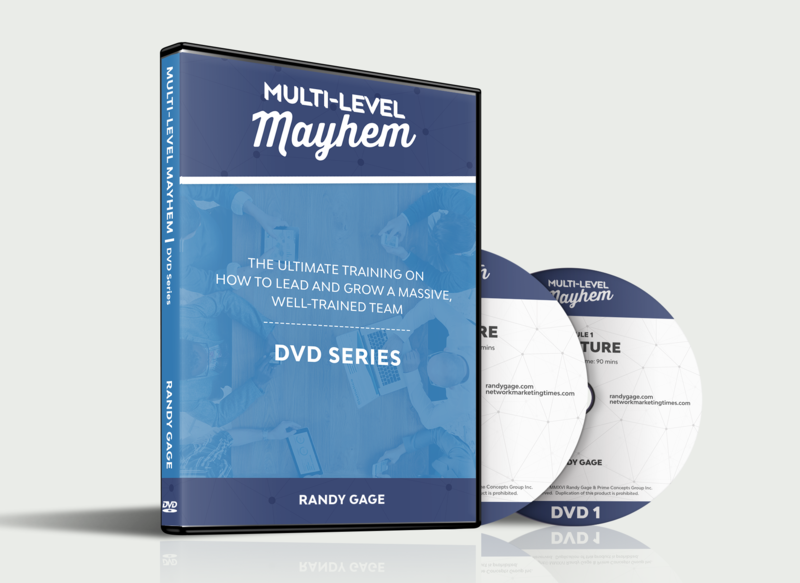 Multi-Level Mayhem is the ultimate training on how to lead and grow a massive, well-trained team. It’s not meant for beginners, part-timers or retailers. It’s designed exclusively for people who currently are, or want to become, top leaders in a network marketing or direct selling organization. Randy will show you everything he learned building a team in more than 50 countries. And then what he learned walking away and starting all over again.